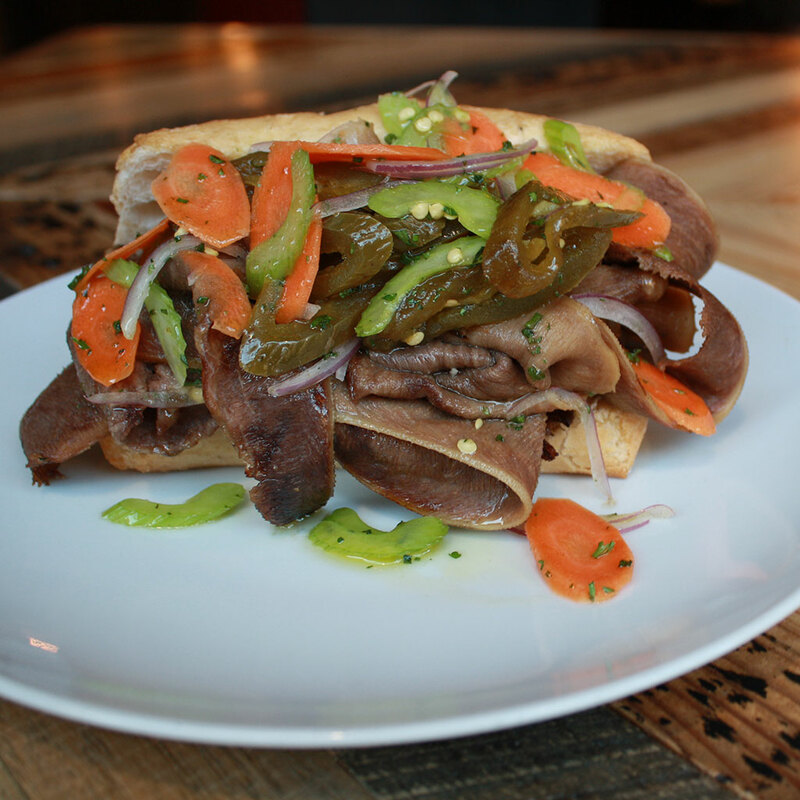 The Italian Beef sandwich is a Chicago staple. Thin cuts of long-cooked, perfectly-seasoned beef, piled onto a roll with giardiniera or roasted peppers, and dipped in beefy jus, leaving it proudly, gloriously messy — it’s a perfect sandwich. The bread: Italian rolls from Turano Bread — a proper traditional Chicago bakery that makes the rolls best suited to Italian beefs. The filling: Tender smoked tongue satisfies the “beef” quotient, plus Stover’s own giardiniera — charred and pickled jalapeños, plus pickled celery, carrots, and red onion. All dipped in jus, of course.